Today I am bringing you TWO book spotlights from Carrie-Anne Brownian! 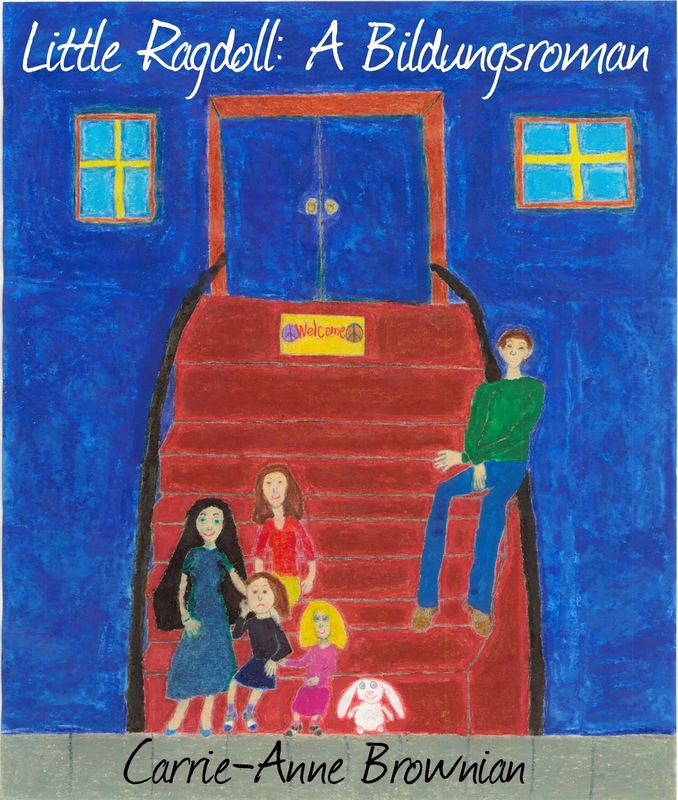 And Little Ragdoll is a new release! Adicia’s oldest sister Gemma becomes a sacrificial lamb when their parents derail her plans to go to college and force her to marry an awful much-older man, but Gemma gets the last laugh, and shows her sisters it's possible to break the cycle of generational poverty. Gemma’s escape is only one of many dramatic developments which unfold over that year. These trials and tribulations reach their height when Adicia’s mother is arrested for embezzlement, but it seems like hard times are over forever when her one decent brother makes good and moves his sisters into his new apartment. However, this paradise only lasts five and a half months, and Adicia and her sisters are forced to move to Hell’s Kitchen on Christmas Eve. During all the highs and lows of her youth, Adicia’s one constant is the loving bond she shares with her sisters, brother, and friends. Unlike her older sisters, however, Adicia cannot bring herself to leave home underage. She feels she has to passively stay to protect her baby sister Justine, particularly after she becomes the oldest sister left at home. Their fortune starts to change when they’re befriended by their new neighbor Ricky Carson, a wealthy young man who falls in love with Adicia. By this point, Adicia's parents are desperate to salvage their family's reputation, and plot to marry Adicia to a man forty years her senior. With the noose tightening, Adicia has little choice left, and finally acts instead of being acted upon. Her plans to run away don't go exactly as planned, though, and it seems as though she's thrust back into a passive role when Ricky rescues her with a marriage proposal. However, this seeming rags to riches happy ending has an unexpected, nightmarish twist. Will Adicia find the strength to survive this final ordeal and leave her role as a little ragdoll behind forever? Jakob DeJonghe can think of nothing but revenge when the Nazis coerce his father into suicide and his little sister mysteriously disappears the day before Yom Kippur 1940. As conditions in Amsterdam worsen, Jakob is determined to fight back and be the master of his own destiny, just as his heroes the Maccabees did in ancient times. In November 1942, he feels his chance has finally come. Knowing it’s now or never, Jakob seizes an opportunity to jump from a death train, severely breaking his foot as he lands. As he limps for his life towards a forest, he’s found by four young resistance fighters and taken to a safe house. Even though Jakob has been left with a permanent limp, he’s still determined to defend his country and track down the men who killed his father. His dream comes true when he joins his new friends’ resistance group after his seventeenth birthday, but after a chance meeting with a spirited young woman on one of his missions, he’s jolted by emotions he thought he’d buried. As much as he tries to deny it, he can’t stop thinking about her, even during the dark days of the brutal Hongerwinter. After he’s recruited into the Princess Irene Brigade and made a real soldier, Jakob realizes his battle is only half-won. If he ever wants to survive a world that will never be ordinary again, love and not hate will have to carry him through. And if he finds his dream girl again, this painful readjustment just might be easier. Carrie-Anne Brownian, who also writes as Ursula Hartlein, was born on the fifth night ofChanukah in 1979. Though a proud native Pittsburgher, she’s lived most of her life in Upstate New York and has also lived in Pittsfield and Amherst, Massachusetts. She was born in the wrong generation on several fronts, as attested to by a love of silent and early sound film, classic rock and pop, antique cars (particularly Brass Age), classic literature, typewriters, and history. Other interests include numismatism (coin-collecting), philatelism (stamp-collecting), marbles, world languages and religions, photography, handedness, cross-stitch, and vinyl records. She earned a bachelor’s degree from the University of Massachusetts at Amherst in History and Russian and East European Studies, and is currently pursuing a master’s degree in library science from the State University of New York at Albany. Her areas of historical expertise are Russian history, the World War II/Shoah era, and 20th century American history. Other areas of interest include the American Civil War, Japanese history, the High and Late Middle Ages, prehistory, and Iranian history. Her ultimate goal is to one day have a Ph.D. in Russian history, with a focus on GULAG and the Great Terror. She has had work published in the anthologies Campaigner Challenges 2011, edited by Katharina Gerlach and Rachael Harrie, and Overcoming Adversity: An Anthology for Andrew, edited by Nick Wilford. And she has a third on the way! Thanks! If all goes according to plan, my first Russian historical will release on November 7th, the anniversary of the October Revolution (and my character Nikolay's birthday). Three more books are slated to release next year. I sure hope things go according to plan, Carrie-Anne. :) You're on a roll! Great books. Wow...sounds like she's very prolific. Thanks! I'm sitting on so many books, in various stages of editing and polishing, because I put my lifelong dream of publication on the back burner for too long. Thanks! I've been writing in the Bildungsroman subgenre for years without realizing it has a name. It's so emotionally satisfying, both as a reader and writer, to go on the journey of growing up with characters, and be with them over many years instead of just a little while. Thanks for featuring me today, Chrys! Both novels sound very interesting. 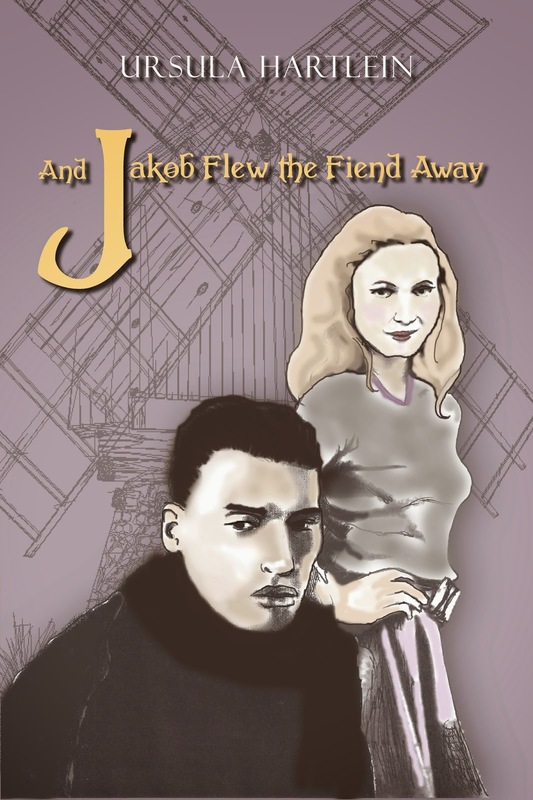 The two protagonists, Jakob and Adicia, seem like they can captivate the reader with their struggles. These books show incredible potential with their storylines. I'm sure Carrie-Anne with have great success with them! Jakob and Adicia do sound like intriguing characters. Thanks for stopping by, Gina! Look and sound like some great books and interesting themes indeed. Sounds like she is on a roll. She sure is on a roll! Thanks for sharing Carrie-Anne's work and historical fiction is one of my interests. The latter book about Jakob's trials caught my eye. Going to Amazon now to read more about it. Thanks! It often seems like I'm in a minority of people still reading and writing historical, since other genres are so much more popular at the moment. These sound fascinating! I always enjoy a good story in a interesting historical setting. Thanks! I hope historical becomes more popular, so I don't feel like I'm in such a minority of historical writers anymore. I love the writing on her blog and hope to read her full-length fiction. I haven't met her before, but I'll stop by and say hello. Thanks for introducing her to me. Carrie-Anne's books always sound so epic to me. And she is very prolific!